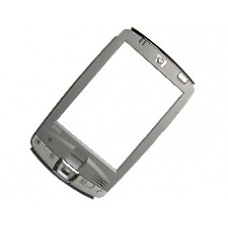 If you have dropped or damaged your iPAQ hx2750 / hx2755 / hx2795 front case assembly then this is the part for you. Restore your units functionality with this front case and switchboard replacement part. This front case includes the switchboard, WiFi antennae, action buttons and joypad. Please note that the fingerprint scanner is specific to the hx2750, hx2755 and hx2790 units. * Includes Switchboard with Fingerprint Reader. * Includes Action Buttons and Joypad.